I stumbled upon an antique dealer at a show who was offering whales carved from bone. 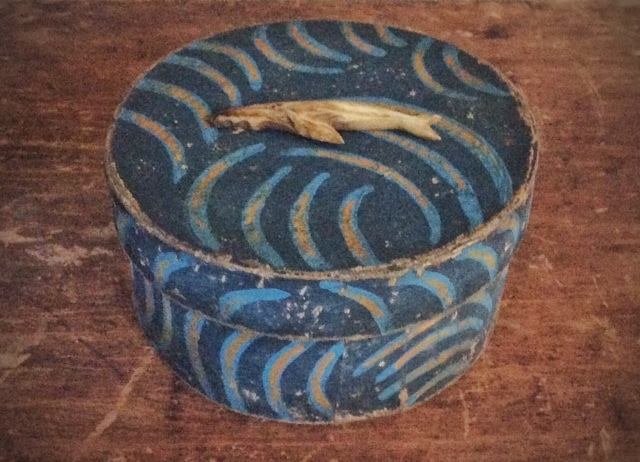 Purchased a few and attached one of them to a blue paint decorated box that's aged and distressed. 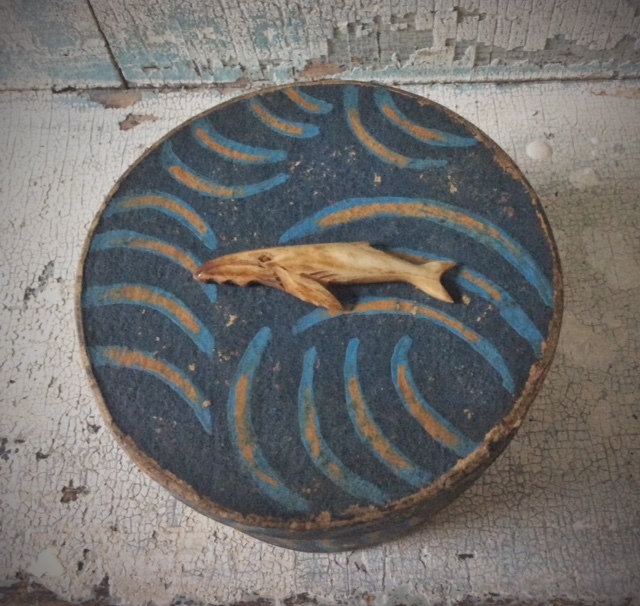 The box measures 4" in diameter and 2" h. The whale is a little over 2" long. Asking $35 plus shipping. Please click on the main image for additional photo.